This tiny oil painting is perfect to bring the ocean to your desk, bookshelf, or little niche. 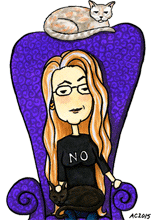 I saw a documentary about squid in the waters of Monterey, and they all looked so pale as they swarmed together, rather than the usual giant squid pink, that I was inspired to create this painting. I added a little dimension to them with some glazing, but I liked the way their underpaintings came out so ghostly that I left them mostly as is. The edges of this little canvas board are finished, the image wrapping around to the sides to add a little dimensions to this tiny bit of undersea paradise. 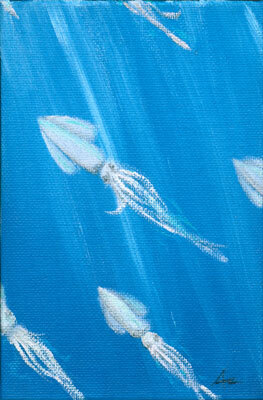 There’s a touch of pearlescent white in the shining water and on the shimmery squid, just to add a little sparkle. 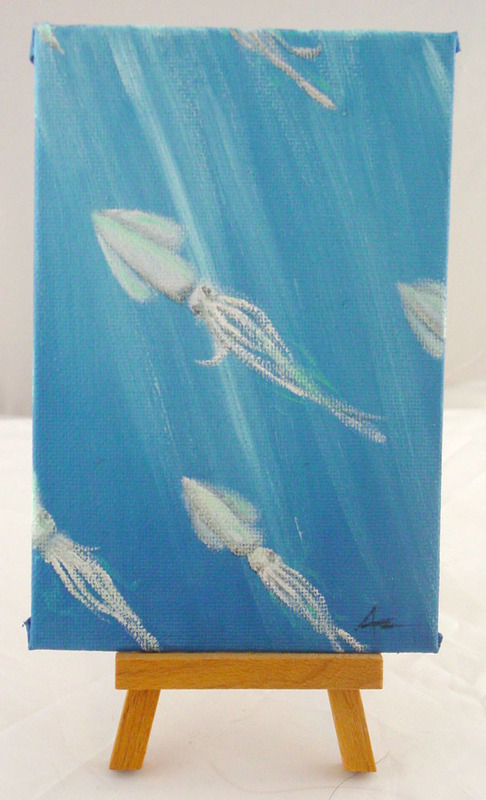 School of Squid, 4″x6″, oil paint on canvas board, 5″ tall easel.